Happy New Year. We hope 2014 has been a good year for you, and that 2015 is even better. Hope you fill it with epic adventures. This blog is my last one for utah.com. That company about to launch some new, bigger, better initiatives and my blog will be discontinued. So, this is my farewell post. While you won't see my ramblings here, I'll still be out there in the backcountry. Maybe I'll meet you on the trail. With the economy continuing to improve, and with gas prices falling, 2015 will be a year to travel, enjoy new activities and experience wonderful destinations. Where to go? I'm sure every person's list will be different. Mine will be heavy on hiking, backpacking, boating and fishing. Here's mine, heavy on hiking, backpacking, boating and fishing. These are adventures I actually plan to enjoy during the coming months. Snowmobile Cedar Mountain, just north of Zion Park, including some trails that overlook park backcountry. Photo safari to The Wave. I've been there once and had a great time. I'd like to shoot it again, now that I'm a better photographer. Backpack Coyote Gulch, in Grand Staircase-Escalante. I've done many hikes in that area but have not yet done this epic multi-day trek. Explore and fish the San Juan arm of Lake Powell. I've ventured into the upper and lower reaches of that arm, but there are many canyon's I've yet to explore. Often, the best fishing on the lake is up that direction. Explore Chaco, Canyon de Chelly and other ancient Native American centers just across the border, along with more the remote ruins in Utah. Find golden trout in the Uinta Mountains. The elusive little fish have been re-introduced into the Uintas and they are doing well. Canyoneer Zion's Subway again. It is one of my all time favorites and I have a few more people I'd like to take there. I'll work in minor adventures between these epic trips. While I won't be reporting them here, I'll still be posting stuff online. 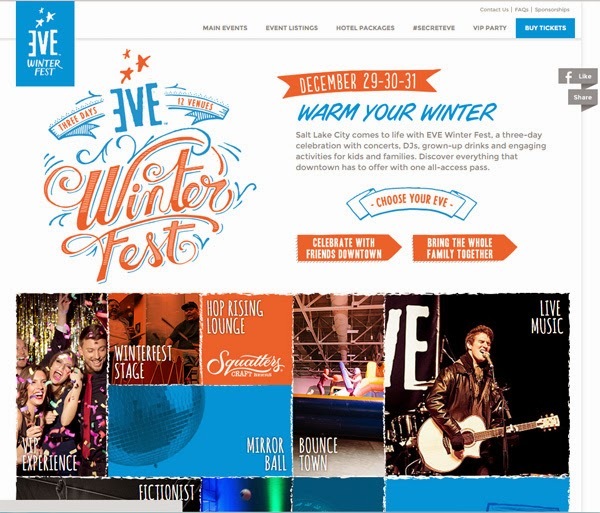 Salt Lake City hosts a big year end bash, called EVE, which includes many activities leading up to New Year's Eve, and then fabulous events at multiple venues Wednesday night. See complete details here. 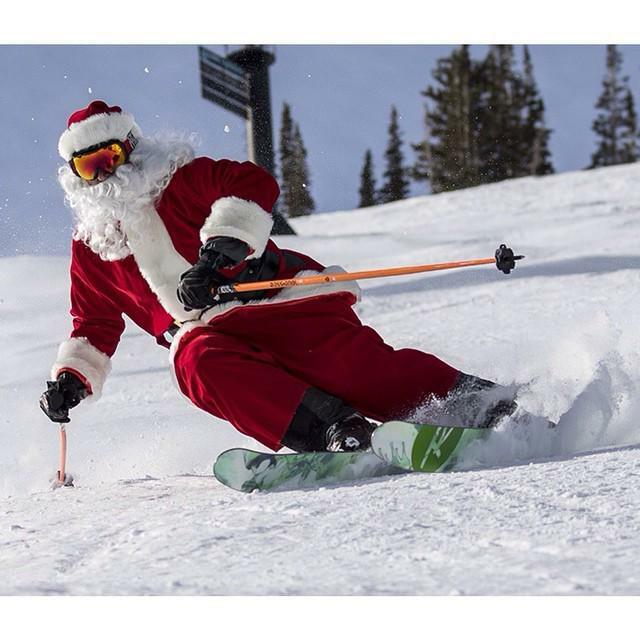 Celebrations will be held at all of our ski resorts, with multiple activities in Park City. Inquire locally for events held in other areas around Utah. Salt Lake's EVE celebration offers something for everyone. Family-friendly events will be staged at Temple Square and other downtown area. The Deseret News has this article about Temple Square events. Our friends at the Salt Lake Tribune have this article offering info for people who want a grown up celebration. KSL.com reports that EVE will feature the largest disco ball in the US. Some, but not all, events will be free. There will be music from various genres, plenty of food and drink (family-friendly and adult), plus dancing, art exhibits and activities, games, fireworks and other events. Hope you can join the fun. Night skiing has started at Park City. A Christmas storm left impressive snow totals at Utah resorts, creating excellent ski conditions, with more snow in the forecast. SkiUtah.com tracks snow totals and provided the numbers below. The next few weeks will bring the best skiing of the year. 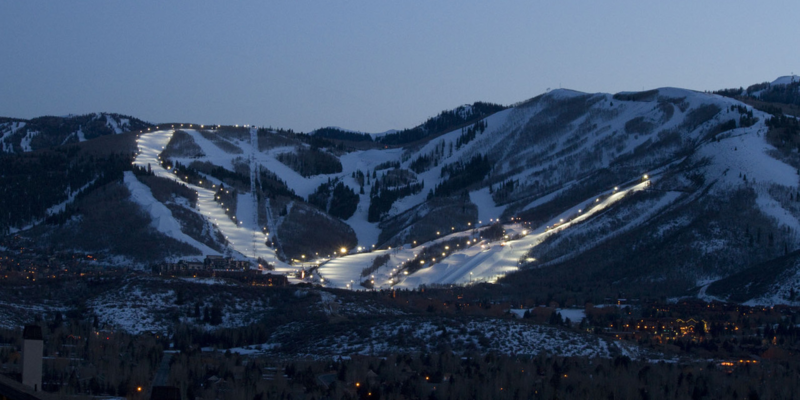 Park City has just opened for night skiing. Utah claims the “Greatest Snow on Earth,” and for good reason. This report talks about the scientific reasons behind the claim. Avalanche danger is high in backcountry areas. A (Developed ski resorts do control work and so danger is mitigated there.) Utah Avalanche Center reports a skier triggered avalanche in Dutch Draw. It carried and partially buried the skier, but he is apparently recovering and will be ok. Meanwhile, the ski industry continues to buzz about Vail Resort's plan to combine Park City Mountain Resort and Canyons Resort, creating the biggest ski resort in America. Forbes has this interesting article about the plan. Below are excerpts. Just like heavyweight boxing, the title of the nation’s largest ski resort has been hotly fought over, debated, and even split between contenders. But those days seem to be over, with the Park City Mountain Resort in Utah ready to assume the undisputed, unified title. ...A $50 million infrastructure project will physically connect Canyons Resort in Park City – currently Utah’s largest – with nearby Park City Mountain Resort (PCMR), which Vail just acquired two months ago. Pending town approvals, the project is slated to start quickly and be completed by next season, immediately creating a snow-covered behemoth spanning more than 7,300-acres, three to four times the size of world class destination resorts like Snowbird, Steamboat or Copper Mountain. In the article he takes an intimate look at Deer Valley's Stein Eriksen Lodge, which was recently named the best ski hotel in the world. Below are excerpts. Last month, Russ Olsen and his wife, Debi, found themselves in Kitzbuhel, Austria, at the World Ski Awards, aka The Ski Oscars, so Russ could receive, on behalf of Stein Eriksen Lodge, the hotel he manages in Park City, the trophy for best ski hotel in the United States. That wasn’t totally unexpected. The winners from each country had been tipped off in advance. It was why Russ and Debi were there. The totally unexpected part came next, when they announced the world’s best ski hotel. Some 1 million votes were cast to determine the world’s best ski hotel, they told Russ. The ballots were sent worldwide to people involved in the ski, travel and tourism industry, including international travelers, booking agents, hoteliers, suppliers and other ski world connoisseurs. SEL’s win was no fluke. A lot of people had to vote for it to make it No. 1. Russ knows the history well. He came to Stein Eriksen Lodge in 1986, just two years after it opened next door to the ski runs at Deer Valley resort, which had also just barely opened, boasting the great Norwegian ski champion Stein Eriksen as its director of skiing. Stein wasn’t the hotel’s owner, but he helped with the design, he brought in his Olympic medals to display in the lobby, he sold the lodge the rights to his name, and as hotel ambassador he was given free run of the place in perpetuity. At 87, he still visits his lodge on a regular basis. Well, other than Stein Eriksen himself. And that was before getting to place the best hotel in the ski world trophy next to Stein’s 1952 Olympic gold medal.